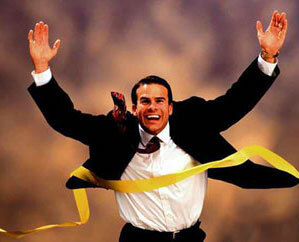 Personal magic and magnetic charm make "Personal Developers" natural leaders, teachers and salespeople. The future is bright, positive and full of potential. People are the center of their attention. They focus their energies on improving themselves and especially on improving the situation or opportunities of others. They can often be found helping others, who, for one reason or another aren't able to see the big picture of life and all the opportunities that abound. Every subject may be interesting to them. They can and want to see the whole picture and to explain it to others. Regardless of the subject, they become the organizers and motivators of the people within any group. They are often found occupying their time in educational pursuits, especially in higher education where they feel free in expressing their own beliefs and theories. Making decisions, especially with the group 4n mind, comes easily and naturally. The decision could be altered to promote harmony. These folks probably have a day planner, but nothing is written in stone. An interruption by a person or even a new thought may well outweigh the importance of a previous appointment or to-do item written in the day planner. Inherently honest and trusting, they may be at risk for having their feelings hurt or being taken advantage of by someone less careful of feelings or less honest. They often overextend themselves to meet the needs of others while neglecting self and those close to them.